Hey! Is that a new Mazda CX-9? Yes it is. After nearly a decade of the same old same old, Mazda’s midsize crossover SUV is at last redone with a new powerplant, and the addition of various tech features—particularly in the safety realm—that it sorely needs to be competitive. 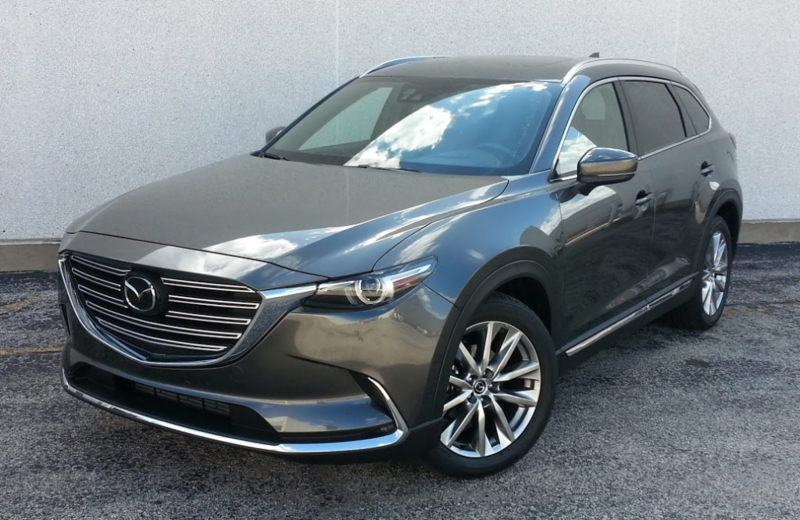 Machine Grey is a $300 color option on the 2016 Mazda CX-9. 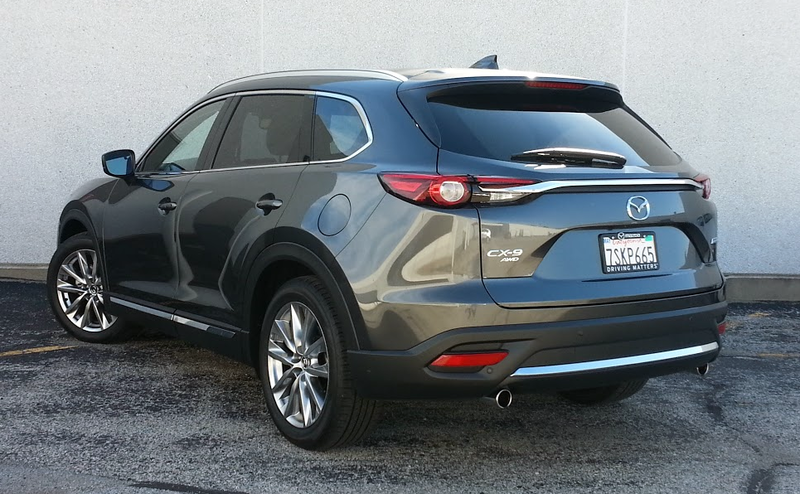 The 2016 CX-9 is 1.2 inches shorter than before but rides a wheelbase that’s 2.2 inches longer. Styling has been addressed, too, but the overall package is still familiar. The three-row people-hauler comes in four trim levels, including Sport, Touring, Grand Touring, and a new premium Signature model. All but the top-end vehicle come in a choice of front- or all-wheel drive; the Signature that Consumer Guide® editors sampled is built solely with all-wheel motivation. The CX-9 cabin is very nicely appointed in top-line Signature trim, but the wide center console cuts into footwell space–an issue for big and tall folks. We also wished for cooled or ventilated seats for hot days, but the CX-9 doesn’t offer them. As colleague Rick Cotta pointed out after attending the media preview for the new CX-9, it is pretty plush in Signature trim. While carrying over the Grand Touring’s high-profile standard features—20-inch alloy wheels, adaptive headlights, fog lights, power sunroof, rain-sensing wipers, head-up instrument display, navigation, power driver’s seat with memory, 2nd-row window sunshades, satellite radio, forward-collision warning and mitigation, automatic high beams, lane-keep assist, adaptive cruise control, and rear obstacle detection—the Signature adds a bit more ambience. There’s Nappa-leather upholstery, a leather-covered steering wheel with unique stitching, aluminum-and-rosewood interior trim, and LED front accent lighting. The Signature starts at $44,015, which is a $2045 jump over the AWD Grand Touring. 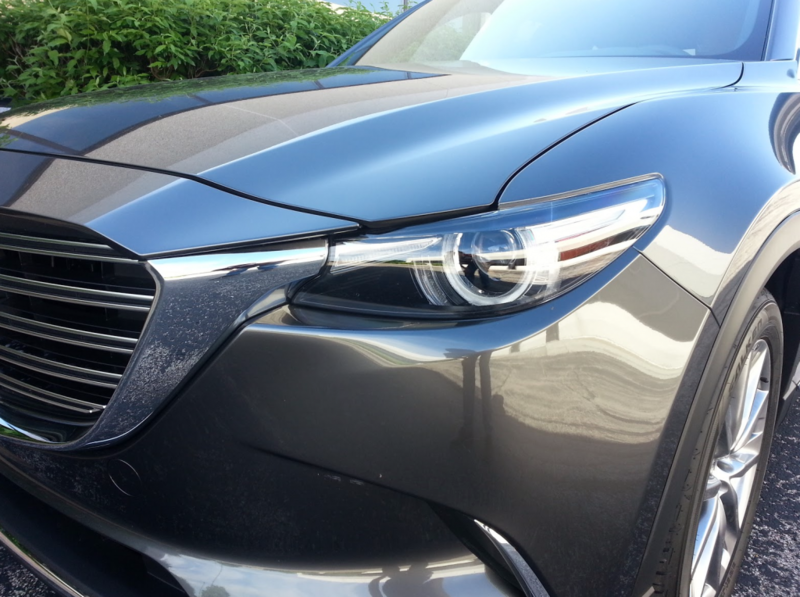 The forward-collision warning and automatic braking, auto-dimming high-beams, lane-keep assist with lane-departure warning, adaptive cruise control, and blind-spot monitoring compose Mazda’s i-ACTIVSENSE suite of safety features, some of which either didn’t exist or at least weren’t very common when the previous CX-9 launched as a 2007 model. Also new is a 2.5-liter turbocharged four-cylinder engine, which replaces a 3.7-liter V6 in pursuit of improved fuel economy. In AWD models, the new engine—paired with a six-speed automatic transmission—is EPA-rated at 21 mpg in the city, 27 mpg on the highway, and 23 combined. This tester covered 144 miles in the new CX-9 and averaged 20.2 mpg with 60 percent city-style driving. Yes, that’s short of projections, but a run in a 2015 V6 job that was very similar for distance and city/highway mix delivered just 18.1 mpg. The alterations in fuel mileage are accompanied by changes in performance. At 250 horsepower (when running on premium fuel) or 227 horsepower (on regular), the turbo four gives up 23 to 46 horsepower to its predecessor—though the new engine’s 310 lb-ft of torque is a jump of 40 over the V6’s output. Though a bit reluctant to get engaged off the line, the best performance from the 2.5 turbo is on the highway, where it cruises smoothly, and reacts well to calls for passing power. With the “Sport” mode clicked in via a toggle lever on the console, the transmission delays upshifts for slightly better and livelier acceleration. Meanwhile, ride is cushy, with good passenger isolation from road bumps. 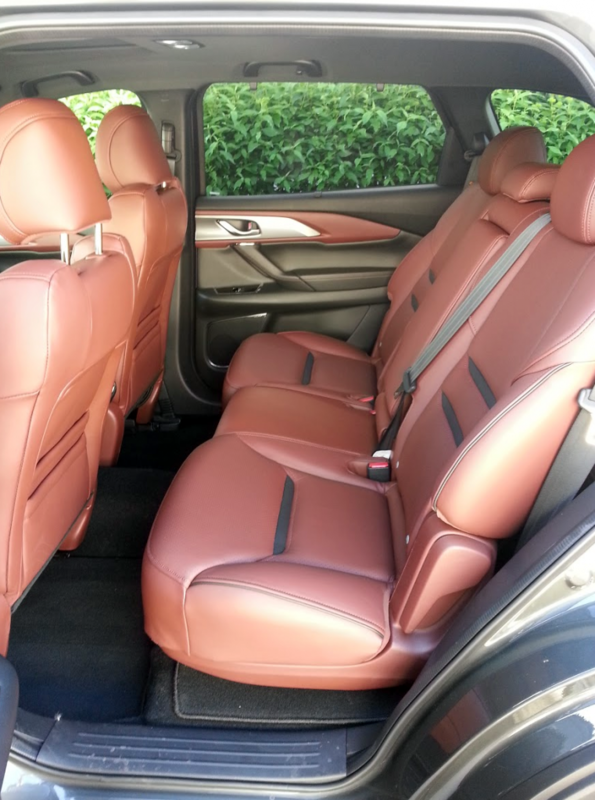 Second-row passengers enjoy ample space on seats that recline and slide fore and aft. 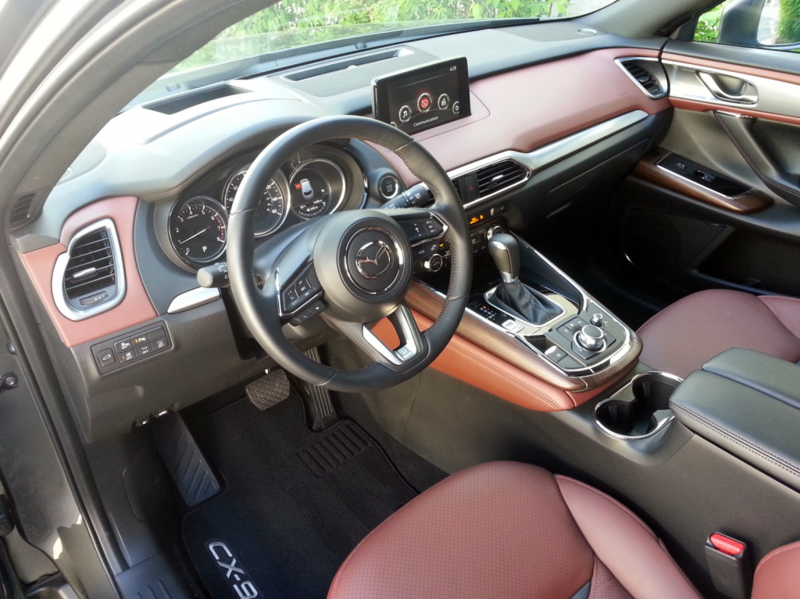 The CX-9 Signature has a very upscale vibe in materials and trim. Soft surfaces with give are within easy reach on the upper half of the instrument panel and much of the door panels. Even molded plastics look and feel high grade. Cabin quiet is very good. Instruments show up well, and controls are within easy reach. Now for the bad news (at least as this driver sees it): CX-9 finally has Commander Control. That’s Mazda’s console-mounted dial control for functions that register on a screen that stands at top center of the instrument panel. 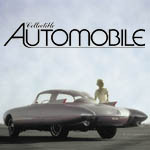 Sure, all the luxury-class makes seem to have something like this but that still doesn’t make it a good idea. You’ll spend an inordinate amount of time inputting individual radio presets. If you want to change an already-saved station to something else, you don’t simply override the old with the new by a press of a button; you have to deliberately remove the station you want to replace before putting something else in its place. That’s progress for you! There is good head- and legroom in front, and adult-size space in the middle row, where seats are adjustable fore and aft. Three adults can fit in the second row. Third-row seats are less hospitable to voting-age persons, thanks to low seating and limited legroom. Access to the back row isn’t easy either. Seats are supportive and cushy in the first two rows. Seatback padding in the third row is a little thin. Step-in height presents no challenges. Personal-item storage is handled by a pretty good glove box, a less-capacious console box with a funky divided side-hinged top and digital-device inputs inside, an open tray at the front of the console under the dash, and pouches on the back of both front seats. All four doors have large pockets with bottle holders. There are two open cup holders in the console, two more cup holders (and a shallow covered storage bin) in the second-row pull-down center armrest, and a cup holder and open bin in each rear sidewall for use by third-row passengers. Cargo room isn’t particularly ample with the 50/50-split third-row seats up, but they fold easily via lever releases from behind to form a good-sized flat cargo floor. When second-row seats are retracted, they are on the same plane to form a long, easy-loading platform, but there is a gap of several inches between them and the rest of the cargo bed. The CX-9’s bold styling should help this likable SUV stand out in a sea of solid competitors. CG’s test vehicle totaled up to $45,215 with charges for extra-cost Machine Gray paint and delivery—and that’s for the new dressed-up top-end job. If you don’t need luxury appointments, you can still get a cheaper CX-9 that’s pretty nice—and just as new. Written by: The Daily Drive staff on June 17, 2016.on March 22, 2019.